Don’t you hate it when big corporate organizations neglect their duty and promise to give back to communities they operate in? 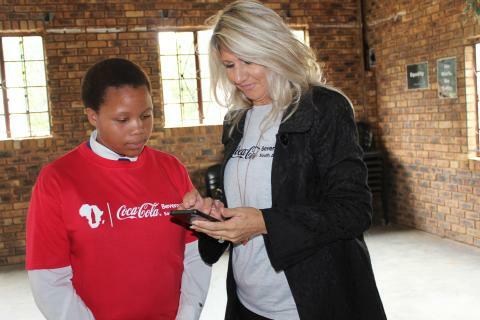 Well Coca Cola Beverages South Africa has been showing the community of Ebony Park, Rabie Ridge and Ivory Park that they give back to communities through various interventions. 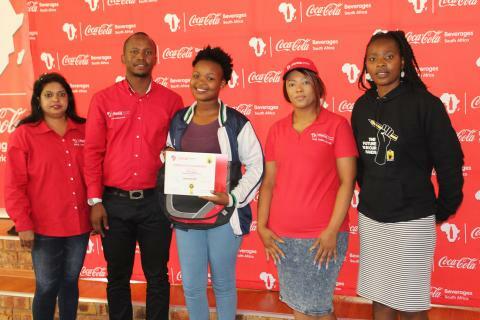 On the 22nd of February, Coca-Cola Beverages South Africa together with the IkamvaYouth Ebony Park branch launched a Soul Ambassadors network for CCBSA employees and participated in the Ebony Park Mentorship day. The Soul Ambassadors are a network of CCBSA employees coming together for a good cause. Soul Ambassadors are CCBSA employees who are passionate about the community and give of their own time to deliver positive change in the communities where we operate. CCBSA supports these individuals by providing them with extra time outside of the one day community leave given to all employees to execute this work as well as funding to deliver the plan. The idea is to offer CCBSA employees a chance to change someone’s life through mentorship; by helping learners / scholars move from their current state to their desired state. Learners from different schools around Midrand and Tembisa who are part of the IkamvaYouth family came in numbers to celebrate the day and also be part of the mentorship program together with CCBSA Soul Ambassadors. During the launch, the Ebony Park branch Grade 11 learners were all paired up with mentors from the CCBSA Soul Ambassadors and signed the IkamvaYouth Mentor-Mentee agreement. 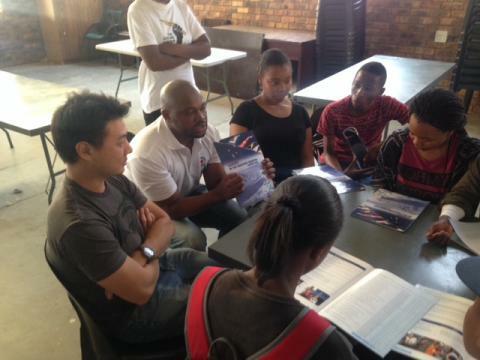 The IkamvaYouth mentorship program enables learners to access post-school opportunities. Although the career guidance workshops increase learners’ awareness of post-school opportunities and ways to access them, IkamvaYouth learners also need one-on-one support from a mentor to help them make the transition from secondary to tertiary education. The mentoring programme ensures that every Ikamvanite accesses tertiary education and/or employment once they matriculate. Secondary objectives of the programme include developing communication skills, self-knowledge and self-esteem. As Ikamvanites take a journey to success, CCBSA Soul Ambassadors will be right there with them to ensure that they reach their desired outcome. Their Future is in their hands. IkamvaYouth Ebony Park, held the 2017 open day on Saturday the 28th of January. This open day was attended by over 340 people, most of which were IkamvaYouth learners, parents, community leaders, educators and IkamvaYouth volunteers. This magnificent affair kicked off in the morning and was blessed with beautiful weather. 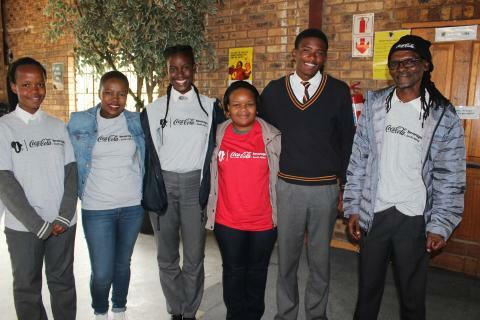 We had a lot of activities which kept everyone present energized and informed about IkamvaYouth and its programmes. Lerato from the Ivory Park branch started the programme with a video presentation of the IkamvaYouth model. IkamvaYouth maintains a 1:5 ratio (one volunteer for five learners). Lerato explained that this ensured that enough attention is given to each learner. 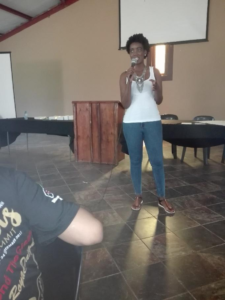 During her presentation Lerato reiterated the IkamvaYouth mission, which is to enable disadvantaged youth to overcome poverty through education. The programme for the open day was engaging and informative. Welsh Dube, a committed IkamvaYouth Ebony Park volunteer, lead the programme as MC. Amongst the many activities was motivational speaking by Percyval Mabizela one of Ebony Parks longest serving tutors who spoke about keys to open doors to success in 2017. Laughter erupted across the hall with a comedy performance by a former Ikamva learner from the class of 2016 Andrew Fezile Sicongwane. Learners, parents and community members were mesmerized by a presentation from IkamvaYouth Alum Kefilwe Maake, who matriculated in 2015 with five distinctions, and is now doing Chemical Engineering at the University of Cape Town. The top performer for 2016, Motlatso Maredi, obtained three distinctions and will be studying at UCT towards a Bcom in Accounting Science. 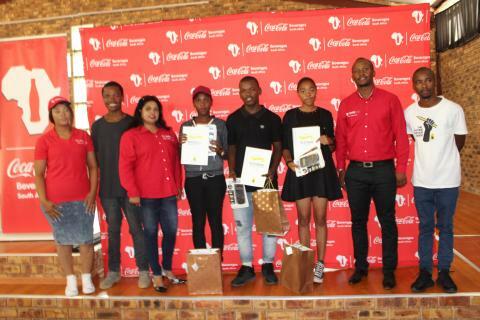 The highlight of the day was the prize giving ceremony, which awarded outstanding academic achievers with generous prizes (Casio calculator, bags, power banks, certificates and diaries) sponsored by Coca Cola Beverages South Africa and IkamvaYouth. Among those who attended were sponsors and IkamvaYouth partners such as Tzu Ching Foundation, an organisation devoted to spreading love through its work in charity, medicine education and culture. 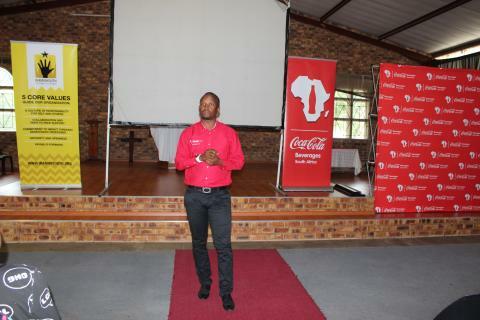 Long serving sponsor and partner to IkamvaYouth Coca Cola Beverages South Africa was represented by Lebogang Tlomatsane who gave a presentation on the relationship between IkamvaYouth and Coca Cola. Kudos to all involved with IkamvaYouth Ebony Park for making this open day a success. Much gratitude to the sponsors for helping IkamvaYouth fulfill its mission and for sponsoring this event. Truly IkamvaYouth 2017 Ebony Park open day has unlocked doors to success in 2017. 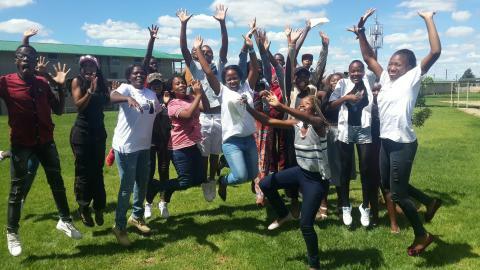 Ivory Park achieved a 100% pass rate! The matric cohort of 2016 had the “highest enrollment of learners in the history of the basic education system of South Africa” as announced by Minister Angie Motshekga in her speech on Wednesday evening. Gauteng remains in the top three nationwide, with matrics having achieved a soaring pass rate of 87%. 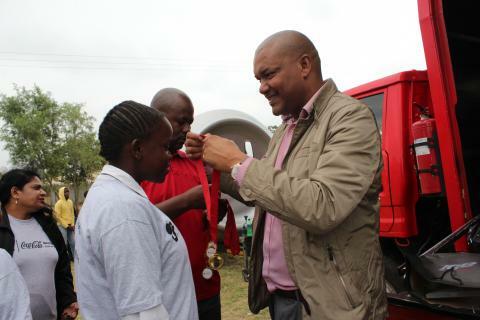 Ikamvanites in the Province did particularly well, achieving an impressive 94% pass rate! Aaron Raphadu is one of the learners from Ivory Park who received his matric results this week. “I joined (IkamvaYouth) in 2014 as I wanted to improve my academic results, especially mathematics as I struggled with it before”. Aaron matriculates with a Bachelor pass and scooped four distinctions with incredibly high marks: 99% in Business Studies, 97% in Economics, 91% in Accounting and 91% in Life Orientation. Aaron comes from a family of five and would like to go to Wits to study towards becoming a Chartered Accountant. “Never doubt your dreams. Always keep in mind that you can achieve whatever you want” is the message Aaron would like to pass on to the next group of Matrics. IkamvaYouth’s tutoring programme is available to learners from grades 9 -12, three times a week and for two weeks during the winter holidays. The tutoring programme is made possible thanks to the hearts and smarts of the amazing volunteer tutors; most of whom are university students and many of whom are ex-learners from the programme. The organisation operates in Gauteng thanks to very supportive partners, including Coca-Cola Beverages South Africa, SA Airlink, Deloitte, Nedbank, The Education Agency, COMENSA in addition to the schools which provides access to branch venues free of charge, and the feeder schools and other tertiary institutions in the region. The months of June, July and August have been good to the Ebony Park branch. 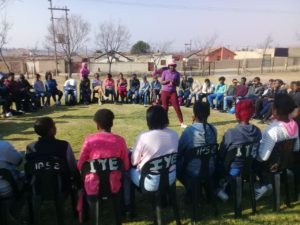 IkamvaYouth has managed to implement its programmes and achieve its goal of ensuring learners receive the necessary information which will prepare them for their journeys in life. IkamvaYouth Ebony Park branch invited several service providers; Stock Shop, Rivers Foundation, Dr Khubeka, and had a visit to CCBSA plant. The branch’s goal for the term was to incorporate all its programmes and ensure that learners were exposed to career guidance, mentoring, job shadowing and life skills workshops. 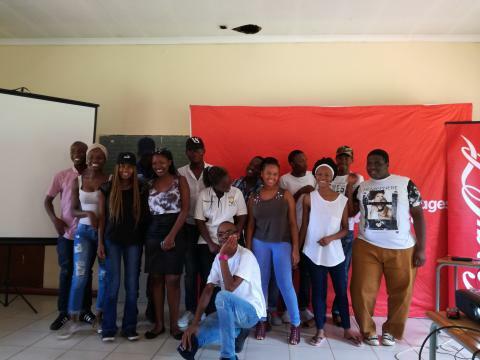 On the 23rd of July, Ikamvanites in Gauteng had the opportunity to engage with Stock Shop, an organization that empowers young individuals about the financial world and their own personal journeys. Ikamvanites were also graced by the presence of Luvuyo, a Chartered Accountant who gives back to the community by motivating and sponsoring young males who wish to pursue accounting studies. 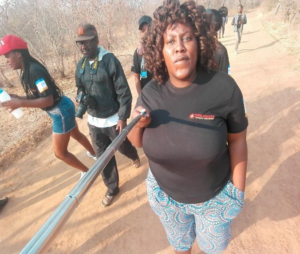 Luyuvo’s motivation was based on the interest learners had in accounting studies. Furthermore, A connect group, Rivers Foundation, of professionals from different departments ranging from Accountants, Directors, IT Technicians and many more visited the Ebony Park branch to celebrate their 67 minutes of Mandela day with IkamvaYouth learners by tutoring and sharing information on their professions. Chris Dykes, a learning facilitator, facilitated a workshop for Ikamvanites in grade 11 and 12 on the 14th of August. The workshop focused on how the brain works and on how to study smart not hard. Sechaba Mosia, a grade 12 learner had this to say “I have learned how my brain can really catch up and how to study and also the difference between headings, subheadings and sub-subheadings.” A job shadowing opportunity at Coca-Cola Beverages South Africa was the next stop. The process of knowledge is one that is divided into two, inspiration and information thus the Ebony Park branch in association with CCBSA set off to one of the largest Coca cola plants in the world in the quest for knowledge. The name Coca Cola is one synonymous to greatness, however, the humble beginnings and the story behind the brand is one that is not echoed to ordinary citizens. Learners were warmly welcomed and taken into a lecture room by Thembi Sithole where the process of thorough inspiration and information took place. Firstly, a video about the brand was played followed by a question and answer session with learners. Upon hearing that the product dated all the way back to 1892 “ahhhhs” buzzed around d the lecture room. At the end of the video, “Who created Coca Cola?” was an immediate question asked by Sphamandla Ndlovu a grade 10 Ikamvanite, the question was thrown to all the learners, after moments of hesitations “Pemberton” (Dr John S. Pemberton) was shyly shouted only for the rest of the group to join in much to the amusement of the facilitator. After a session of explaining and giving theories, learners were taken around the plant and shown the entire processes of creating the product from packaging to bottling. As this wasn’t enough for Ikamvanites, the branch together with its branch committee organized a career hour on the 10th of September. The career hour was meant to avail professionals to visit the branch and engage in a dialogue session where learners get to know the day to day duties of different careers and all the information needed to survive in that particular profession. 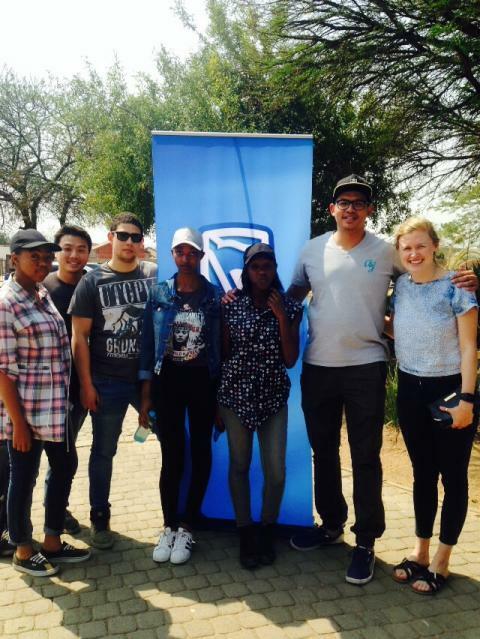 The branch invited professionals from different organizations like Standard Bank and SAMSI. There were also psychologist, lawyers, statisticians, an environmentalist, corporate managers and bankers present. As we work towards uplifting the youth from disadvantaged communities, the Ebony park branch has achieved its goal of ensuring that learners received the necessary tools to use as they challenge the life ahead.